There are 2 main types of lettering you can use – ones with wiggly bits on the ends (serif fonts) and ones without (sans serif). There are millions of variations in between these 2 types and it’s easy to get overwhelmed with what you like and don’t like. How people see fonts on your website. You have very little control over what font people see on your website unless you save your text as an image. You can tell your website that you want to use sans serif or serif fonts and you can give it a list of choices of fonts you prefer but unless the viewer has those fonts installed on their computer they will not see what you see. The best you can do is give them a choice of the most used fonts. 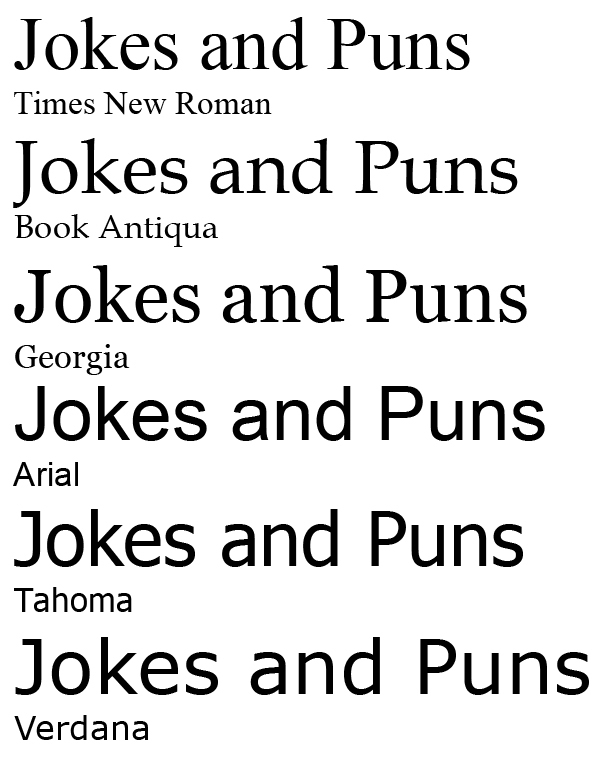 There is also a font called comic sans that most people have but I refuse to use it. It’s a cartoon font. When it comes to using fonts as images you have all the choice in the world but you need the content of your website to be in text so that it is searchable, otherwise people will not be able to find you easily. So – why choose a sans serif font over a serif font? It’s a sweeping generalisation but usually a serif font is seen in print and a san serif on screens. Serifed fonts used to be considered easier to read than san serif (because the little tails lead you into the next letter) but more recent research is inconclusive. When computer screens were smaller they couldn’t cope with the little wiggly serifs and text could look blurry. Now things have changed, technology has evolved and it’s basically down to what image you want to portray. The next two images (they are images so I can be sure you see what I see) compare the most common web safe fonts with different wording – which ones do you think fit best? 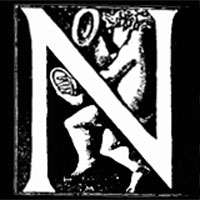 Thinking of your own website, and your personal topic what font would speak better than others for you? I’ve used a serif font for www.scagliola.biz. It fits well in this context because Scagliola replicates marble and an older style font works. A more modern looking font would be out of place.